CSF shunt technology is probably one of the great advances in modern medicine. The quality of life and the survival rates of patients with hydrocephalus have changed dramatically since the introduction of shunts almost 50 years ago (53, 107, 112, 113). Shunt infections have decreased over the years as smaller devices with biocompatible materials have been introduced and as the surgical technique and devices used to insert a shunt have been perfected (120, 172). Nevertheless, as with all foreign objects implanted into the human body, the potential for infection remains. When shunt systems do become infected, the consequences may be catastrophic as the infection spreads into the nervous system and the draining cavity or bloodstream used by the shunt (5, 7, 11, 18, 21, 23, 25, 31, 33). This chapter outlines the common clinical patterns that are evidenced when a CSF shunt becomes infected, the steps needed to adequately diagnose and treat the condition, and the pitfalls often found in the process. Highest cost of implanted medical device-related infection: CSF shunt infections constitute the highest cost associated with an implanted medical device infection (12). Reported incidence of 4–30%: The incidence of shunt infection ranges in reported series between 4 and almost 30% (75, 138). Highest rate of implanted medical device-related infection: Compared to other implantable neurosurgical devices (i.e., deep brain stimulators and vagus nerve stimulators), which carry an infection rate of up to 6%, shunt surgery seems to have a higher risk of infection; this higher rate of infection holds true even when shunt implantation is compared to other implanted devices that have a silicone rubber envelope (e.g., breast implants) (124). Systemic antibiotic prophylaxis has limited role in the prevention of shunt infection: Data suggest that a statistically significant reduction of shunt infection rates is viable only in centers with an unusually high baseline rate of shunt infections that exceeds 20% (76). Presentation varies: The presentation of shunt infections can range from subtle signs and symptoms of shunt malfunction to wound dehiscence, cellulitis along the shunt tract, ventriculitis, meningitis, or brain abscess formation. 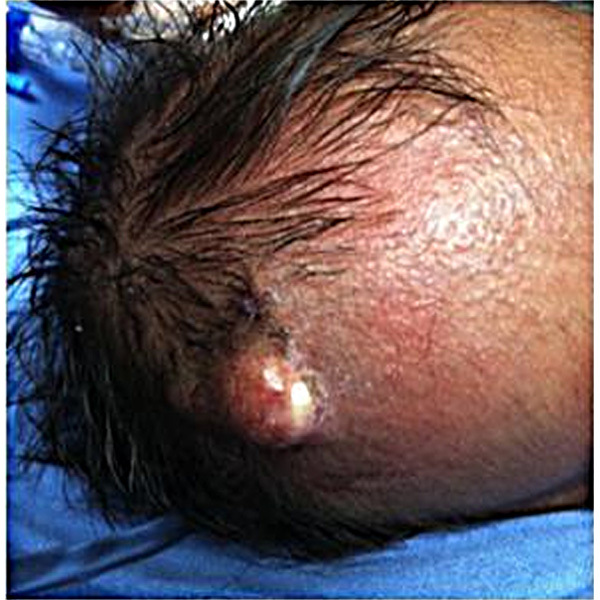 Initial treatment empiric until organism identified: Antibiotic therapy can be initiated empirically according to the most common organisms that participate in shunt infection and then can be modified according to the culture’s pattern of antibiotic resistance when it becomes known (1, 2, 10, 11, 13, 14, 15, 19, 22, 31). Subset of patients at elevated risk for cognitive sequelae: While most shunt infections can be managed without permanent injury to the CNS, certain groups of patients, such as those with spina bifida, may experience permanent cognitive impairment from shunt infections (3, 5, 7, 30, 73, 79, 98, 107).